At just four years old Ethereum has become one the most popular platforms for smart contracts and Dapps – even after a number of twists and turns for the platform. The growth of Ethereum is undeniable, but its path to popularity has sometimes been shrouded in confusion after a hack, a branch, and some drama within various factions using the tech. Of course, our series The Chronicles of Ethereum detail at length the creation, growth, and changes within Ethereum, but it’s worth taking a look at where Ethereum began, and where it might be going in this top-down view of its history. At age 20 Ethereum’s founder, Vitalik Buterin, saw the promise of blockchain as a decentralized technology capable of enforcing rules by consensus. An earlier experience while playing World of Warcraft steeled him against the notion of a centralized control mechanism, and after being introduced to Bitcoin he immediately saw the benefit in a real-world example. As a turing-complete blockchain, Ethereum enabled large-scale adoption of smart contracts – software programs that autonomously execute themselves based on data fed into the network. This allowed for an ecosystem that facilitates reliable and trustless transactions among multiple participants. These smart contracts enabled the development of Dapps, which are revolutionizing software. While it all started with Buterin’s distaste for centralized command and control, his views would change over time after certain realities set in. 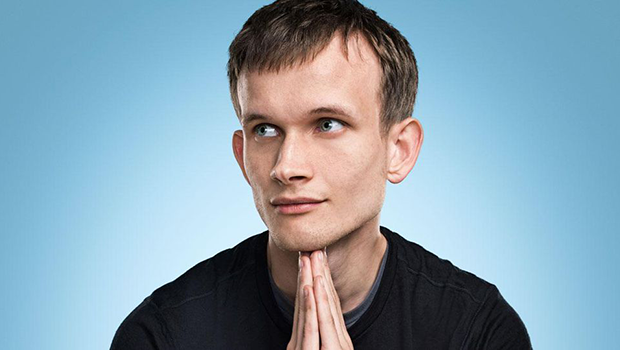 Vitalik maintains his role as a “benevolent dictator”, but as the figurehead he’s sometimes made unpopular decisions that have led to schisms within the Ethereum community. The biggest would have to be the June 2016 Decentralized Autonomous Organization (DAO) hack of $60 million in Ether. In the days that followed, Ether would drop precipitously and forced the young leader to make a difficult – and centralized – decision about the integrity of the data within Ethereum itself. The Ethereum Foundation, many of the Ethereum creators, and a disputed proportion of the broader community wanted to execute a technical procedure known as a hard fork to rewrite the blockchain’s transaction history and artificially return the stolen Ether to the rightful DAO account holders. This presented a threat to the notion that the technology was immutable, censorship resistant, and de-centrally managed. With the benefit of hindsight, Ethereum has survived with those core values intact, but not without a fracturing of its base. Ethereum (ETH) and Ethereum Classic (ETC) officially separated into different permutations of the original blockchain, each with their proponents and communities. Still, according to Buterin, 85% of miners went with ETH. This number is somewhat disputable, as Bitcoin Magazine reported the ‘vote’ on whether to execute the hard fork was not well publicized, was open for less than 24 hours, and saw only 6% of Ether holders actually participate. This is of course vastly different than how shareholders would hold a proxy vote, with mailers, long advance warnings, and the assurance of a quorum before voting. But Ethereum’s balance between decentralized tech and the necessity of a rare centralized decision became evident, and has created two branches with two teams dedicating themselves to each fork. The most palpable difference between ETH and ETC is that Ethereum Classic followers chose to uphold the immutability characteristics of the blockchain in the aftermath of the DAO hack. An interesting twist here is that, in 2017, Charles Hoskinson – ETC’s analogue to Buterin with ETH – proposed a software change that would inflate ETC’s value to generate a community-funded treasury for ETC development projects. This seemed to fly in the face of the core values of a decentralized philosophy, but it’s the same conundrum every cryptocurrency has faced at some point. But does it invalidate the notion of consensus within the network? Not at all – but it has caused a shift in perspective and how stakeholders are engaged. Enter the move from Proof of Work (POW) to Proof of Stake (POS). The most common consensus mechanism is known as proof of work (POW), which is used by Ethereum, Ethereum Classic, Bitcoin, and other popular cryptocurrencies. In this model, individual network participants, known as miners, are incentivized to use their own computing power to maintain consensus. While confirming transactions, miners are simultaneously allowed to compete to solve complex, time and energy consuming math problems that reward them with newly minted units of cryptocurrency. It is a race of sorts – the first miner to solve the math problem wins the right to own the next unit of cryptocurrency. This process creates an economic motivation for miners to police the network by ensuring that transactions are completed appropriately, that no funds are illegitimately spent twice, and that the blockchain’s history is preserved. The problem with POW is the enormous energy demands of solving increasingly difficult problems, and managing a growing ledger. Thus, Ethereum has been working on its Casper solution, a Proof of Stake (POS) consensus mechanism that mitigates these issues. The basic premise of POS consensus suggests that miners place some portion of their cryptocurrency into a smart contract, betting that they will correctly verify the attributes of the next set of proposed transactions. The smart contract collects ‘bets’ placed by all miners, and tallies the votes to determine which state of the blockchain is most likely correct, based on how much cryptocurrency was wagered by each miner. This weighted average approach suggests that consensus influence is affected by how much each miner wagered as opposed to how much computational math has been done, hence proof of stake vs proof of work. A first release of Casper occurred in May, 2018. At a conference in Toronto Buterin called it, “hopefully one of the more joyous experiences in Ethereum in a fairly short time.” This is a large puzzle to put together, however, and there’s no timeline for transitioning completely to POS (while also lowering the stakes for efficiency’s sake). More importantly, Casper will not be compatible with previous versions of ETH, so the network will require another hard fork. Of course, by the nature of a decentralized system, developers will have to build support for Casper. As Ethereum clients implement the new protocols, testing and refinement will continue. Buterin detailed the methods of validation at EDCON Toronto. In that talk, we learned validators will have certain responsibilities but will also have smart contracts lasting about two years, and that’s the estimated time the hybrid system will be in place. There’s no guarantee the network will shift entirely to POS in exactly two years, but that seems to be the general goal. There are significant challenges ahead. There’s the usual storm of external competitors, most notably NEO (often called the Chinese version of Ethereum). But there are challenges within ETH itself, and Casper represents a major inflection point for the platform overall. As the Casper integration looms, many question whether Ethereum can sustain yet another split that would create even more new competitors, as was the case for Ethereum Classic in 2016. The arguments for POS vs POW are detailed in part four of our series, Chronicles of Ethereum, as well as a host of details on Casper, and other implementation details that could prove lynchpins for the continuing success of the platform. Also in part four: A rundown of issues and proposed solutions as ETH matures. Also in that installment is the question of future regulation, and adoption by government and larger financial entities. Can these tools withstand regulatory scrutiny? The stakes have never been higher for the Ethereum project. If the switch to POS does not go smoothly, Ethereum risks forfeiting much of its multi-billion dollar market capitalization as well as its head start on competitors in the race to become the web infrastructure of the future.